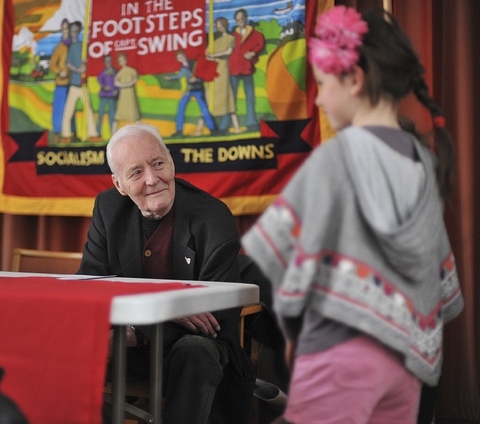 Many have commented on Tony Benn since his death on Friday 14 March 2014. A giant of socialism dies peacefully at home was one of the best obituaries, appearing in The Morning Star. By contrast much of the mainstream media comment has been distorted – and distastefully venomous about someone so recently passed. This is testament to the real threat posed by Tony’s undiminished advocacy of socialism and social justice. The media and the establishment it represents remain fearful of the solidarity and action that a political giant like Tony could inspire with his clarity of vision. Tony’s writings and recordings mean that inspiration remains available to us undimmed. 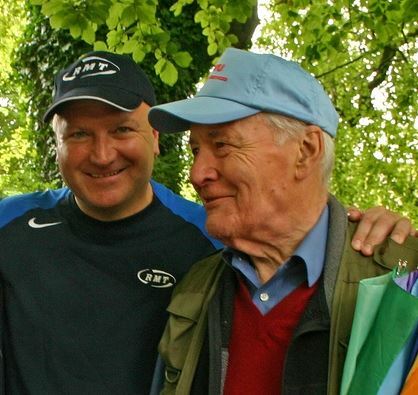 Tony Benn was simply the best known socialist in Britain, a former Cabinet Minister and an RAF veteran. The longest-serving Labour MP to date, Tony stepped down as an MP in 2001 after 50 years in Parliament, famously declaring that he wanted to spend more time on politics. In his time dubbed Britain’s “greatest living Parliamentarian”, Tony was one of the most loved politicians of the last fifty years and consistently topped polls as Britain’s favourite politician – not least because he saw politics as a duty, not a career. Sussex LRC was honoured by Tony’s presence at our centrepiece event for Brighton Fringe in 2012 and delighted when Tony returned again in 2013. Tony was planning to attend Brighton Fringe again this year so, on Saturday 31 May 2014, we will now celebrate Tony’s commitment to socialism and also remember Bob Crow, with Jeremy Corbyn MP, Nancy Platts – Labour’s parliamentary candidate for Brighton Kemp Town & Peacehaven, Robb Johnson and others. 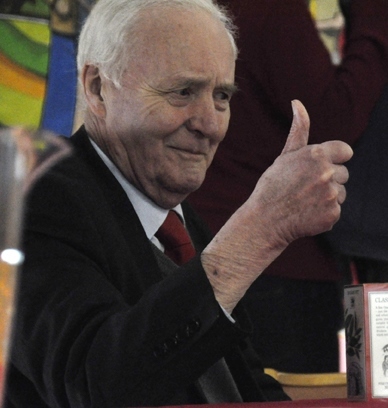 Paying an immediate tribute, Jeremy Corbyn MP described Tony Benn as “a legend of indefatigable optimism, humour and strength” who believed that ordinary people could bring about enormous change. Jeremy continued: “It was an honour and privilege to work closely with him for decades and we owe him so many thanks in so many ways for all he taught us, from promoting public ownership of industry, to understanding our own radical history, ending racism and discrimination, opposing wars and nuclear weapons. Above all he inspired us to understand values of democracy and honesty in our cause. There will be a big gap in the lives of millions today”. 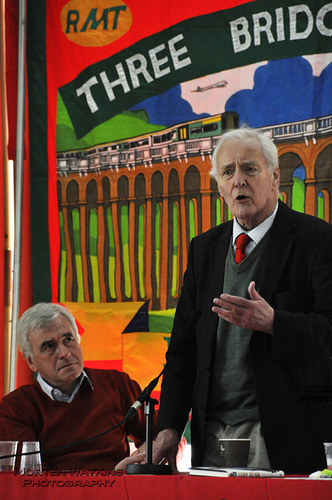 Tony will be hugely missed across the labour and trades union movement in the UK and internationally, but his work lives on and Tony shall continue to inspire future generations through his writings and recordings. Tony saw that winning the right to vote was key to further social and economic change, including the expansion of the welfare state and state education, the creation of the NHS, building decent council housing, providing justice for all with legal aid, and much more. Above all Tony realised that real change occurs when people come together to make demands collectively, whether through trades unions or mass movements. 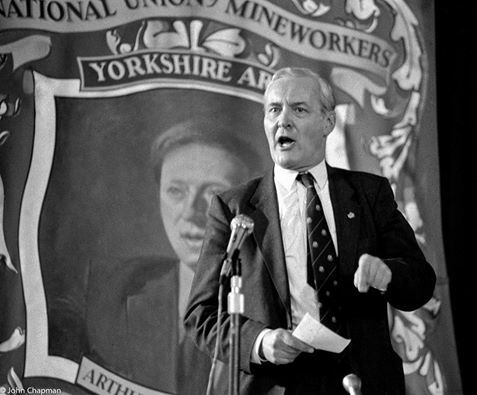 Continuing to fight for a real alternative to austerity, for a fair distribution of wealth in society, and for social and economic justice for all is the best tribute that we can pay to socialist legend Tony Benn. Our thoughts are with Tony’s family and friends. RIP Comrade.